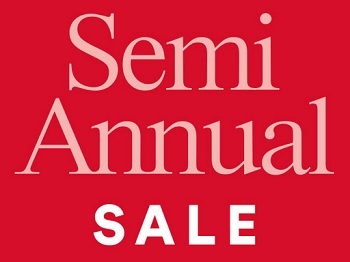 Enjoy Semi-Annual Sale from Ann Taylor. Possible to save up to 60% off all sale styles! Hundreds of styles added! Offer is valid at Ann Taylor stores in the U.S. and online at http://www.anntaylor.com. Source of the information is Ann Taylor. More information about the Sale at stores or online.